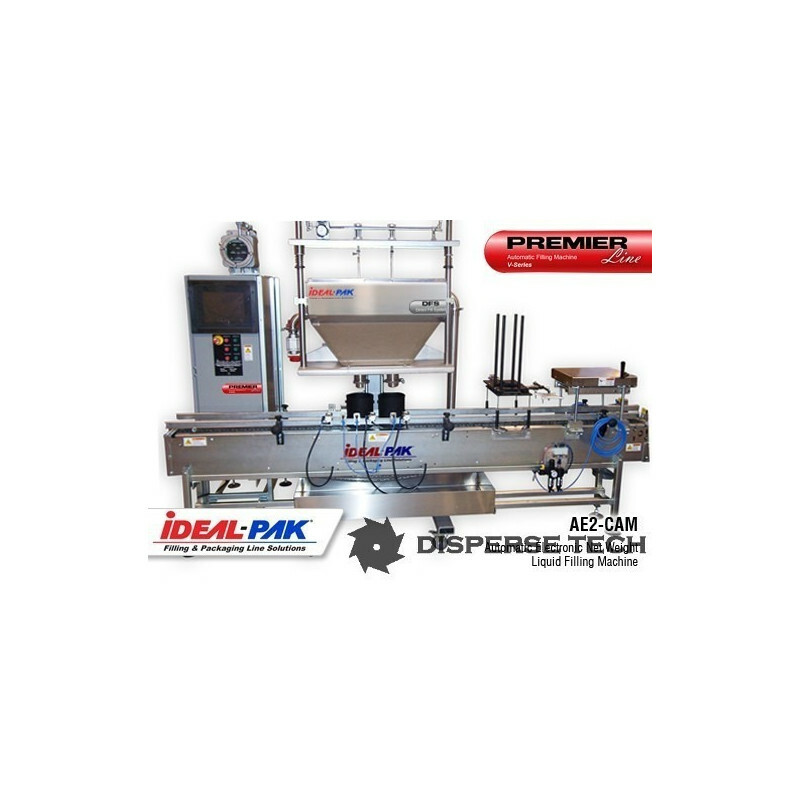 The Ideal-Pak AE2, two Head automatic filler delivers the highest of levels of automation and precision filling performance in a full-featured package. All Premier Line filling systems feature a large, color touch screen HMI with recipe storage, SPC with check-weigh data logging, and Ethernet connectivity for real time filling performance tracking and remote machine performance tracking. Electronic Net Weight Filling In 1 through 8 Head Container Filling Station Configurations. Check Weigher at Fill Stations. Fast Fill Recipe Development & Convenient Fill Recipe Storage. Fills 1 Gallon to 5 Gallon Containers. Large Color Touch Screen HMI with Recipe Storage & Ethernet Connectivity. No Container No Fill Detection. System (Ideal-Pak DFS® Direct Fill System or Manifold Fill Cart). Rigid Zinc Plated Steel Frame Construction. 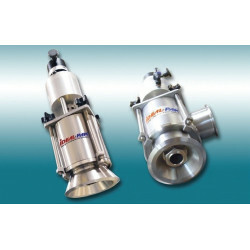 *Fill Rates will vary depending on container size, shape, fill opening, accuracy required, product supply, as well as individual product characteristics and operation mode. 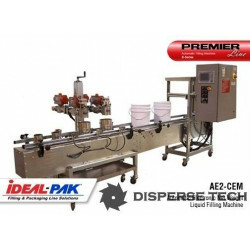 Ideal-Pak Model AE2-CAM Two Head Automatic Net Weight Liquid Filling Machine with DFS® Direct Fill System, LPA-0000 Lid Placer, 2340HR Roller Closer, and Rotary Table Container Accumulator. 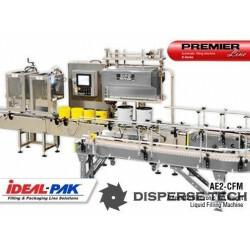 Ideal-Pak Model AE2-CFM Two Head Automatic Net Weight Liquid Filling Machine with DFS® Direct Fill System, Powered In-Feed Conveyor, 2 Gallon Crimper and 5 Gallon Crimper (optional). 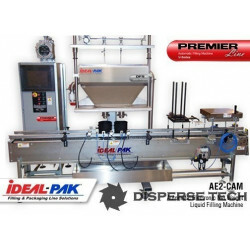 Ideal-Pak Model AE2-CGM Two Head Automatic Net Weight Liquid Filling Machine with Powered In-Feed Conveyor, Roller Closer, and 5 Gallon Crimper (optional).